Delvalle presents a new series of Control Equipment Atex, Contrex series and panelex series, Thanks to our experence in the Atex world and Directive 94/9/CE. Atex Delvalle produces local Control Equipment Atex and distribution boxes and enclosures for use in hazardous areas with flammable gases and dusts. 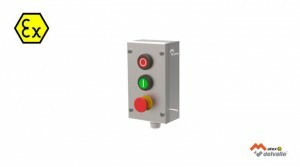 Depending on the application area, the control stations are designed with the type of protection “Increased safety” or “Protection by enclosure”. 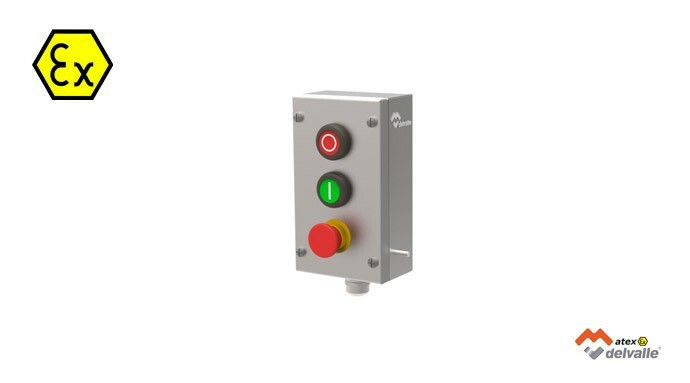 The explosion-protected local Control Equipment Atex are available in stainless steel, aluminium. You can choose between a cabinet with door (luxorex) and an enclosure with screw cover (Geoex). Control, signaling and display devices and remote I/O systems are installed according to customer specifications. The installation of industrial standard equipment in controls for Zone 21, type of protection tb “Protection by enclosure” is possible. These enclosures are easy assembly, they have a protection type IP66, and a material in aluminium, AISI304L or AISI316L. They are based on various types of protection, increased safety, Ex e, flameproof, Ex d, encapsulation, Ex m, and can accomodate intrinsic safety devices, Ex i.